Starting off, everything you loved about the original AirPods has been carried over. They are still a pair of true wireless earbuds with great sound and solid battery life. But Apple didn't leave them that way, opting to upgrade nearly every other aspect of the earbuds. The driver behind most of the changes is the internal wireless chip. AirPods originally shipped with the W1 -- Apple's first custom wireless chip. It iterated on that with the W2 and the W3 which made their way into the Apple Watch Series 3 and Series 4, but never to the AirPods. With the second generation AirPods, Apple included the H1. This is an entirely new custom wireless chip designed specifically for headphones. 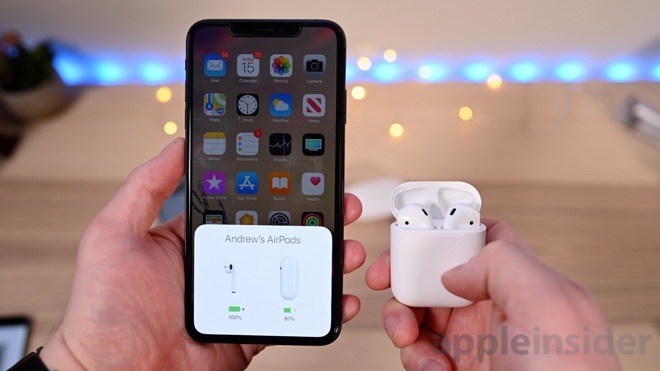 It allows the new AirPods to connect to active devices twice as fast as in the past. When jumping between devices, this was certainly a pain point. It also can connect to calls 1.5 times as fast as before. For those who are gamers, they will be excited to see that latency has been improved in V2. Apple says that they cut the latency by 30 percent while playing games, so what you see on the screen happens more in sync with what you hear than ever before. Apple also credits the H1 with improved signal quality which should remedy the few times that the W1 ever did happen to drop audio. There is currently no indication of the Bluetooth version used in the upgraded AirPods, so we will have to look into that when they are in our hands. Another new feature that is possible thanks to the new chip is "Hey, Siri" functionality. Now you no longer have to reach for your phone, instead just uttering that keyphrase right into your AirPods. Another fun Siri trick is holding the AirPods next to your iPhone and asking the virtual assistant what the battery level is. 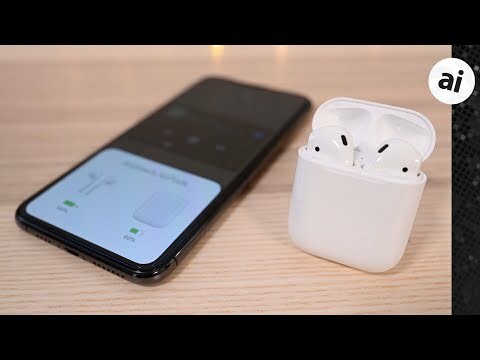 With the second generation, Apple also finally came through with its long-promised wireless charging case which is an optional add on, or available separately for those using the original AirPods. That lets you power up your phone just by placing it on a charging mat. Speaking of battery, Apple managed to improve battery here ever so slightly. Each bud still carried five hours of listening time, and an additional 19 hours of listening time available in the case for a total of 24 hours of total usage. That is in line with the original version but now wireless talk time has been extended to three hours. Apple somewhat glosses over the topic of audio quality, only mentioning "whether you're playing games, listening to music, or enjoying podcasts, you'll experience higher-quality sound." That doesn't give us too much detail on what to expect, so we are guessing that audio will be roughly in the same ballpark as it was with the originals -- but we'll test that out for you when we get ours. 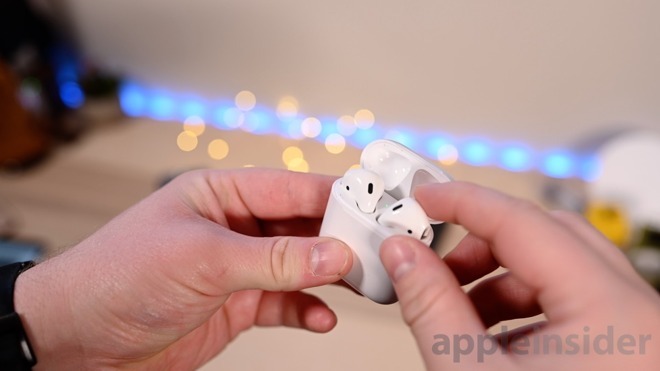 AirPods 2 will require the latest OS updates from Apple -- iOS 12.2, macOS 10.14.4, and watchOS 5.2 -- which are currently in beta testing. These will be released around Apple's March 25th media event, the day before AirPods will start hitting people's doorsteps. If you want to use your new second gen AirPods right away, be sure to update to these latest releases quickly. You can pick up AirPods 2 right now from B&H Photo at the same $159 price point as the first generation, with no sales tax collected in select states. Optionally, you can bundle them with the wireless charging case which carries a $40 premium, bringing the price up to $199. If you want to hang on to your original AirPods but want the wireless charging case, you can grab it by itself for $79. If the case is available separately, why not the AirPods themselves? Everyone with first gen AirPods still have cases that work with the Gen2 Airpods. The Airpods are $50 each to replace so why not a $100 AirPods only option? Any word on whether the "texture" of the AirPods (the earbuds) has been updated. There were rumors that this would change to give them some extra grippiness. Can you MUTE a phone call on the Airpods themself yet? Mistake in the video. 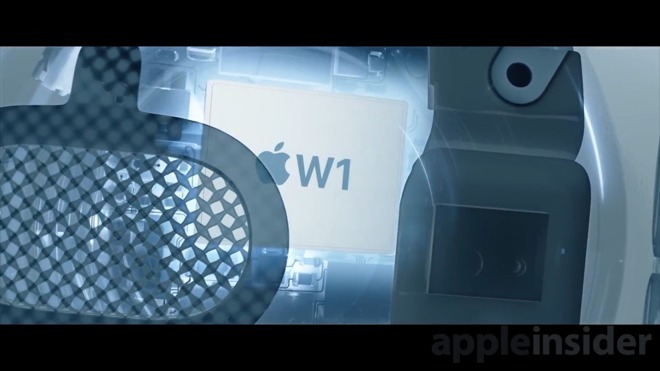 The Apple W1 chip was never added to Apple Watch. Apple Watch Series 3 got the W2 (which added low power & faster WiFi). BeatsX, Studio 3,Solo 3 ,Powerbeats 3 got the W1 chip. 1) Wishful thinking, but I'd love to get in-ear options. 2) I wonder why the change from W1 to H1. Does 'H' stand for Health? I've never been able to use Apple's earbuds. They don't fit, always feel clumsy. I applaud these efforts, and for those they work for, great. First generation AirPods owner here. Love 'em. Right now just doesn't seem like any MAJOR changes. We'll see. They aren’t major changes, they’re iterative improvement. This is how Apple rolls. By the time you upgrade yours, even if years down the road, you’ll appreciate the additions over time. Gruber wrote about this almost a decade ago. Wireless charging of the case is a minor upgrade. For me charging airpods without case via iPhone would be a greater upgrade. I take my airpods without its case when I go for a walk. Mine used to work about 4 hours last year but now it works hardly 2 hours. For this situation, I wish airpods themselves would be able to charge via iPhone. My wife cannot use Touch ID at all. It simply doesn’t work on any iOS device she tries. Must be something about her skin chemistry. There will always be outliers for any technology. Then what does the W stand for? Great little video that, good work. So i’ve bought myself a pair this afternoon. Am I the only one so mesmerised by the wireless case who’s just realised they don’t yet have a wireless charger? Come onnnnn AirPower. Apple marketing and allure has cost me again. This won’t be the last time im sure. It’s interesting that Apple is tweaking the latency specs. I don’t know if wireless can in theory ever match the too small to perceive latency of wired headphones/speakers. This is the primary deficiency of devices lacking physical analog ports. It is not just a convenience. It is critical when working on audio in real time. What on earth are you talking about? There is indeed a wireless charging case available now. AirPods without a wireless charging case are $159. AirPods with a wireless charging case are $199. It’s your choice. So take your AirPods back, or cancel your order, and get the AirPods with the wireless charging case instead. I sure don't love the sound. The original AirPods do not sound great. The market disagrees with you, much as it disagrees with just about every word you post here. So buy the Samsung ear buds and be happy.